love the colors and comforter has good weight to it. 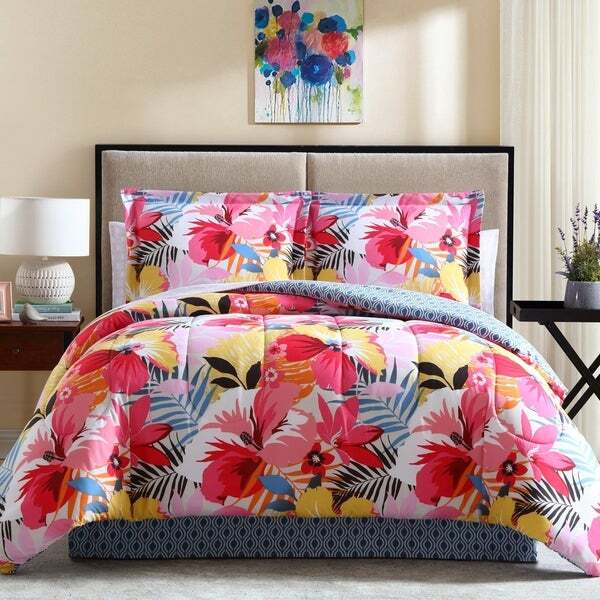 Inject vibrant color to your room with the Lemon & Spice Lanai Floral Reversible Bed in A Bag Comforter Set, featuring a charming floral pattern atop a pink ground. No, matching drapes are not available.